[THE INVESTOR] Samsung Display, the display business arm of Samsung Electronics, is ramping up its efforts to outpace its rivals in the organic light-emitting diode display sector. 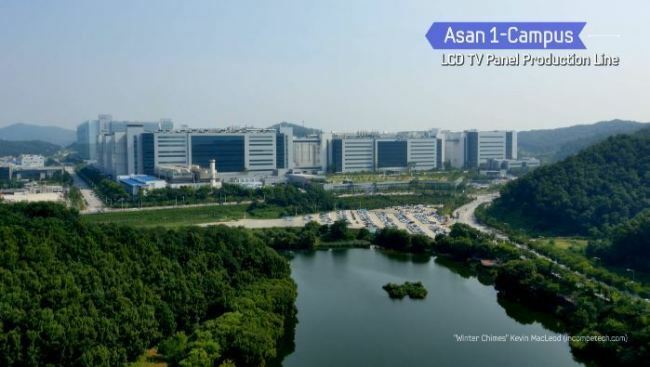 As a part of this strategy, the firm is planning a quick transition from liquid-crystal display to OLED at its L7 plant in South Chungcheong Province. The plant currently runs two LCD assembly lines. “Samsung Display will cease the operation of both lines at the L7 plant by the end of this year and replace LCD equipment with those for OLED by the end of this year,” said Ricky Park, director of market research firm IHS, at the OLED Frontier Forum, an industry conference held this week in Seoul. China Start Optoelectronics Technology, also known as China Star, is said to be one of the bidders for buying Samsung Display’s LCD equipment. Forecasting that the South Korean display business will start operating the new OLED assembly lines at its L7 plant in the second half of 2017, the director noted that Samsung’s latest efforts to push OLED has something to do with its competition with Apple. The US-based tech company is widely expected to roll out an iPhone fitted with an OLED display in late 2017 or 2018. As such, most global top-tier display makers including LG Display, JDI, and Foxconn have reportedly been trying to win a supply deal with Apple. Many of the firms are now investing in OLED display manufacturing facilities. Due to these changing trends, many Chinese display companies, including BOE, are expected to scrap their investment plan for LCD, and instead put more focus on beefing up OLED production. OLED is self-illuminating, and does not require a backlight panel like LCDs. OLED display is also flexible and transparent, meaning it has more product applications than LCD displays. Samsung Display is currently the global market leader for small and medium-sized OLED panels with a market share of 97 percent. LG Display is the sole producer of large-sized OLED displays.